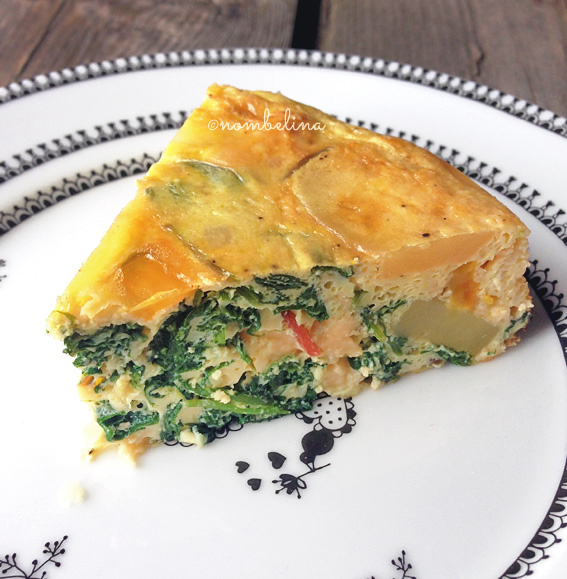 I made a twist on the regular tortilla or Spanish omelet and added more vegetables to it. For my blog I sometimes receive new products for testing. 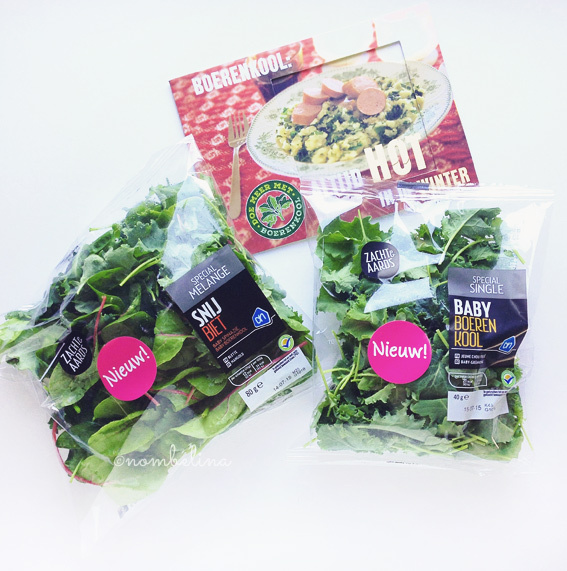 This time I received a blend of baby Swiss chard leaves with baby spinach and baby kale and a bag of baby kale leaves. You can use them in a salad, but I wanted to try something different. I didn’t feel like making pastry to make a quiche so an omelet was the way to go. I didn’t use any onions like in a regular tortilla, but you could cook them together with the yellow bell pepper. Preheat the oven at 320°F/160°C. Fry the sliced potato in butter or oil until cooked through. Remove from the pan and set aside. Fry the bell pepper until softened, add the garlic and the baby leaves. Cook until wilted. Add to the potatoes. In a seperate bowl, beat the eggs, season with salt and pepper to taste, add the grated cheese and the cooked vegetables. Heat a oven proof skillet or omelet pan with a little oil and carefully pour in the omelet mixture. Evenly spread the vegetables. Cook the tortilla in the center of the oven for about 40 minutes. I used my 20cm enamelware omelet pan for making the tortilla. 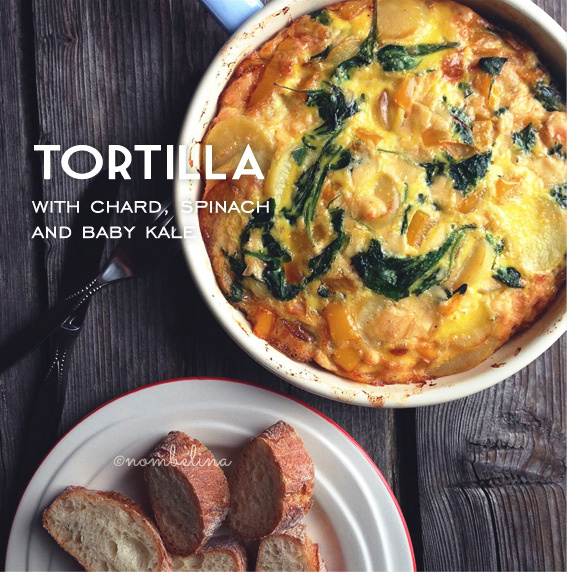 You can serve the tortilla from the pan or carefully turn it out on a plate. It can be eaten hot or cold. I served the tortilla with slices of bread and chili jam. I liked this combination, but you could use just spinach, kale or whatever leafy greens you prefer. Some of the products used in this article were sponsored by a brand or company. I did not receive compensation for testing these products and my opinions are my own.